Alberobello (Silva Arboris Belli in Latin, Ajarubbèdde in the Alberobello dialect), is an Italian town in the province of Bari, in Puglia, at the center of the Valle d’Itria and the Murgia dei Trulli. 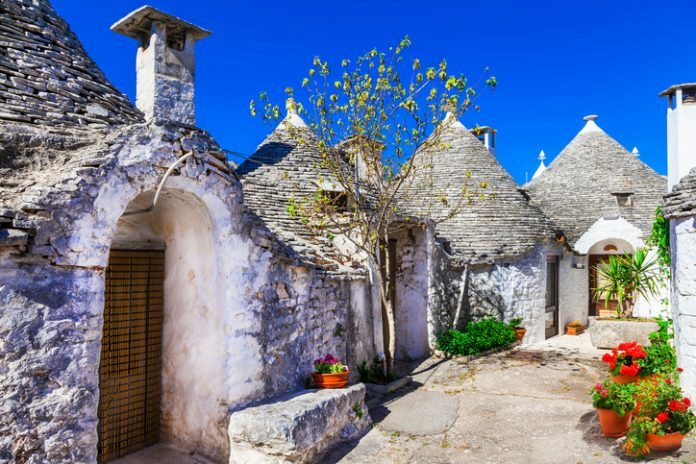 Famous for its characteristic houses, called trulli that, since 1996, are UNESCO World Heritage Site, is part of the Valle d’Itria. 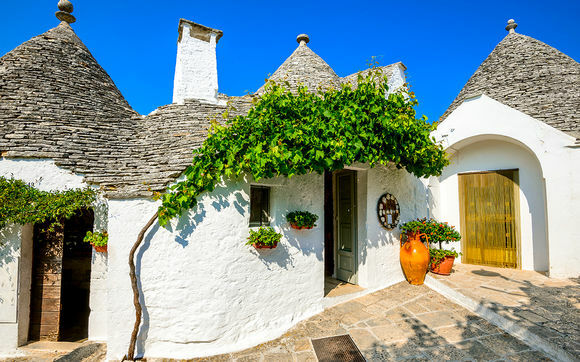 Alberobello has been repeatedly chosen as a film set, especially for the peculiarity of the trulli. Already between 1930 and 1931 Idillio Infranto was shot, one of the last silent films of Italian cinema, directed by Nello Mauri and starring Ida Mantovani and other amateur actors. In the immediate post-war period a refugee camp was set up in Alberobello, where women of different nationalities were gathered. In 1950 a Hungarian director, Geza von Radvanyi, told the story of a young widow from Yugoslavia, waiting for a child (together with episodes from other women from various countries of Europe) in Women with no name (Women without name – Le undesirable), with Simone Simon, Gino Cervi and Vivi Gioi. 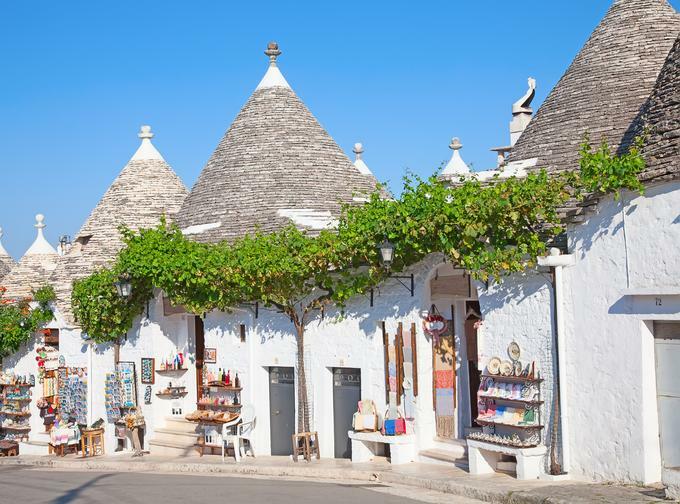 an actor-singer beloved by the Indian public: among the places where his youth is set, outside of India, there is Alberobello. The director Franco Salvia, again in 2008, has shot in the country “The subtle charm of sin”, with Nino Castelnuovo and Milena Miconi. Finally, in 2010 Gennaro Nunziante with Checco Zalone shot the blockbuster movie “Che bella giornata”. In May 2012, some episodes of the Beautiful American soap opera were shot.